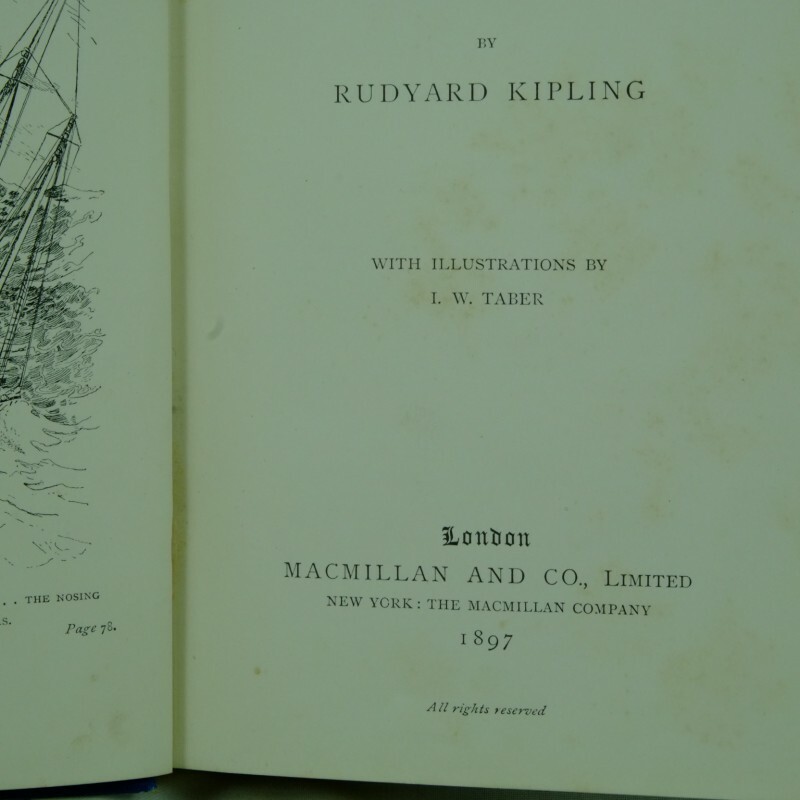 22 black and white illustrations by L. W. Taber. 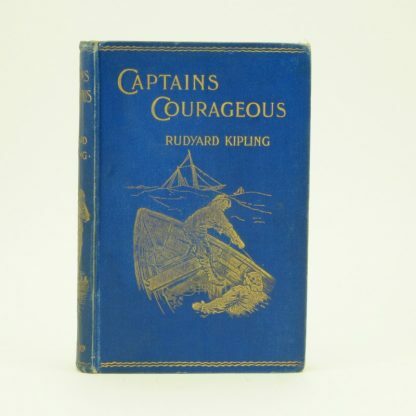 A good copy of the classic tale of Captain Couragous. Original blue cloth boards. 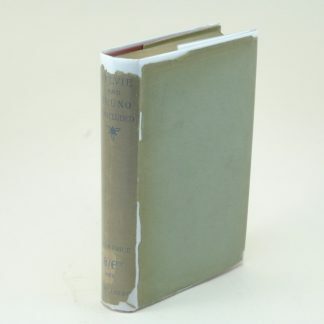 Corners are bumped with shelf wear on lower edges with front illustration lightly rubbed. 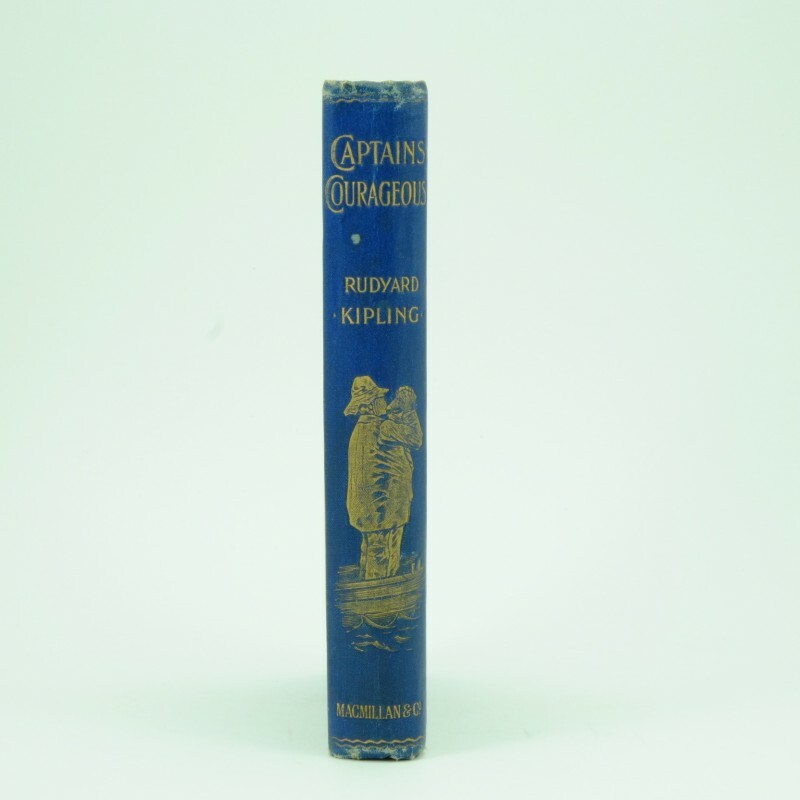 Spine bumped on spine edges, colour bright with minimal dulling of the gilt lettering. 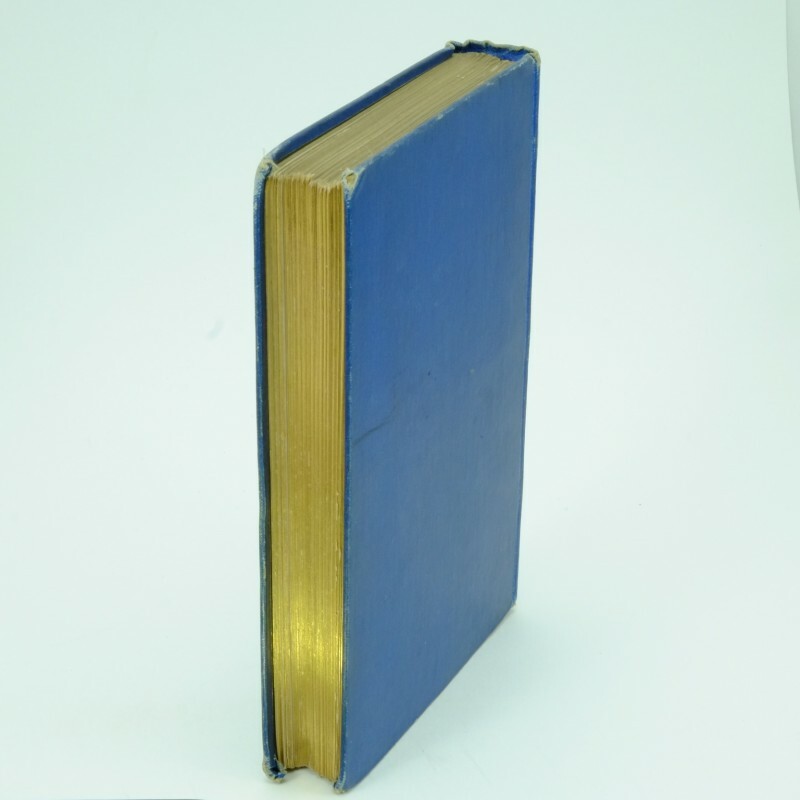 Gilt page edges are bright. 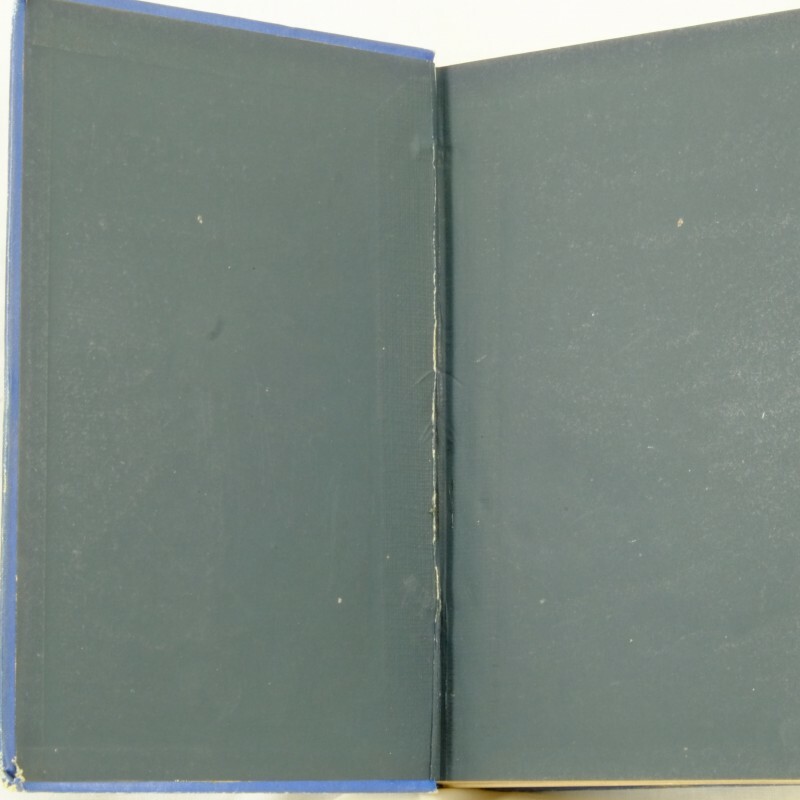 Dark end pages. 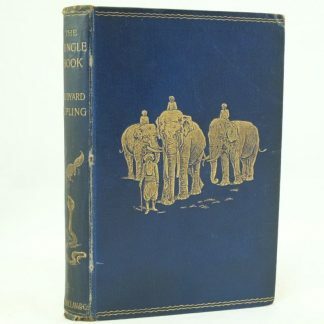 Contents with some foxing on the front pages and on the bindings at the end of the book. 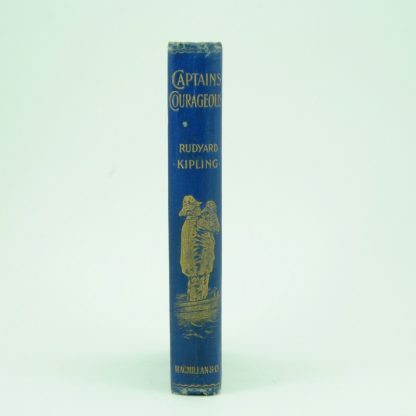 Bindings tight. Crack on binding on front end page and rear free end page, not affecting the binding of the book. 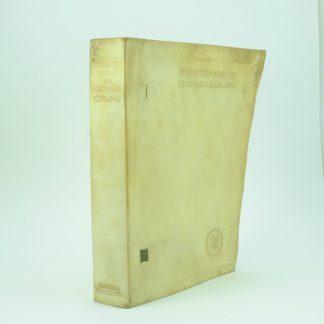 245 printed pages plus two pages of other publications by Macmillan & Co. 7 1/2 x 5 “. 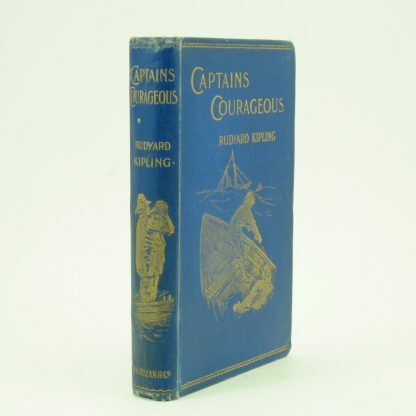 The plot of Captain Courageous follows the adventures of fifteen-year-old Harvey Cheyne Jr who is the spoiled son of a railroad tycoon, after he is saved from drowning by a Portuguese fisherman in the north Atlantic. 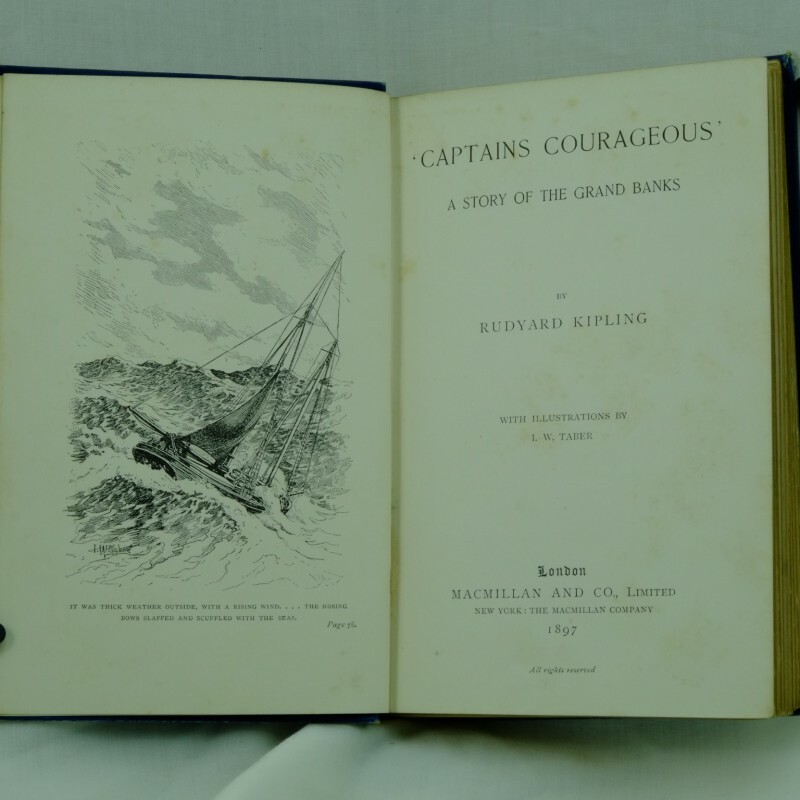 The novel originally appeared as a serialisation in McClure’s beginning with the November 1896 edition. 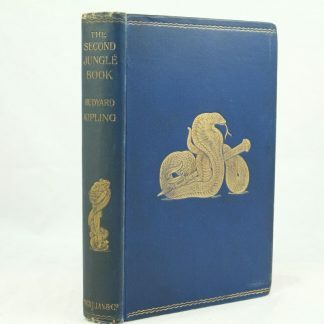 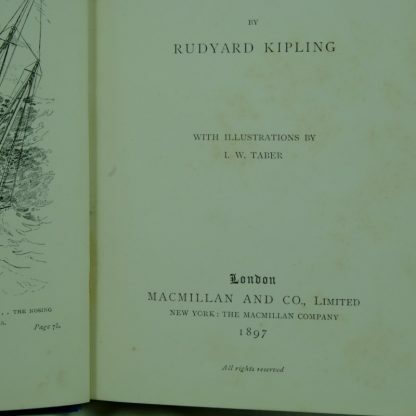 Kipling wrote this novel whilst he was living in Vermont with his American wife. 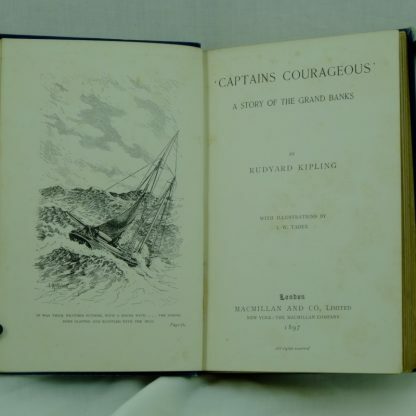 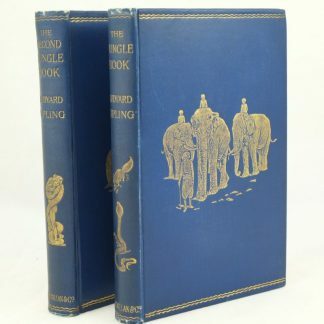 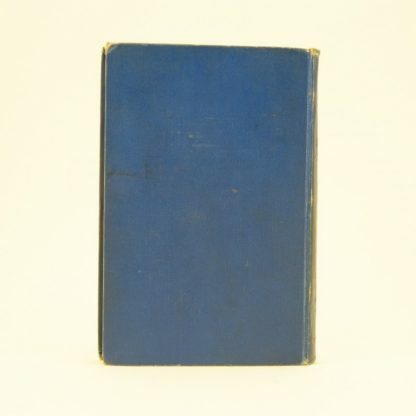 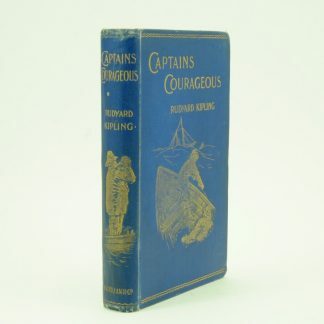 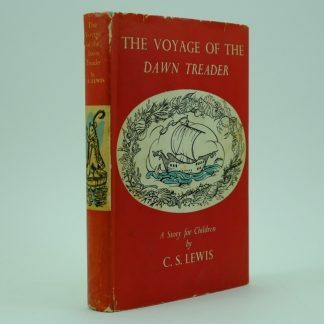 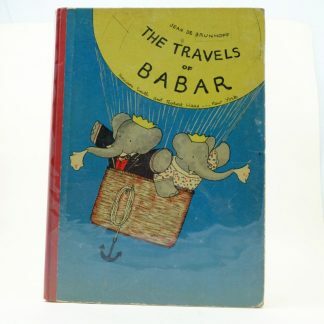 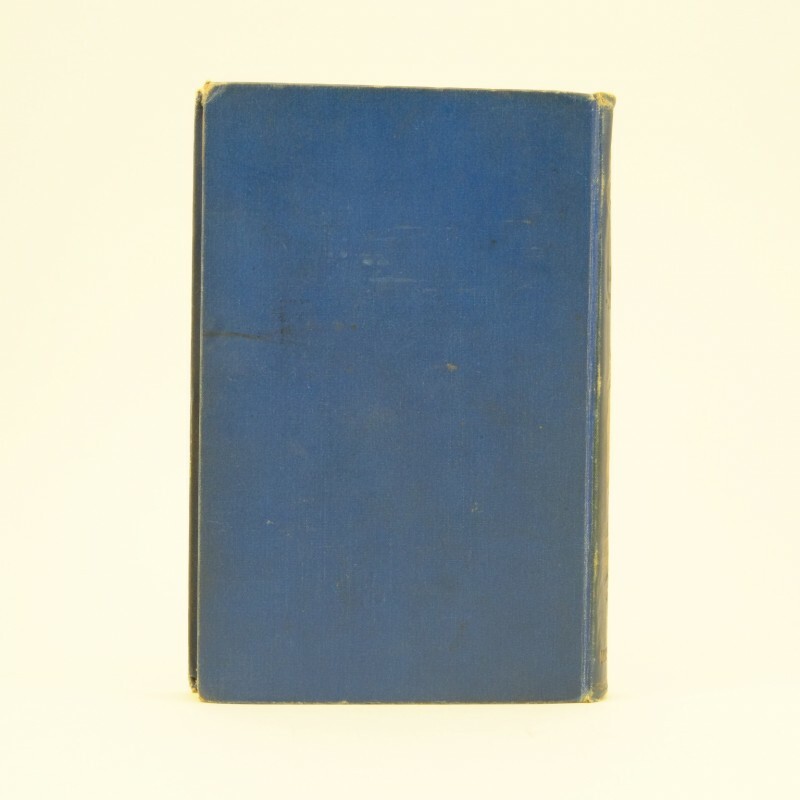 Kipling used for the first and last time, American settings and themes for all aspects of this Captain Courageous novel.